Amidst a spiraling crisis of farmer suicide, authorities in central India have received some disturbing reports of farmers selling their children into forced labour in return for a small amount of money. 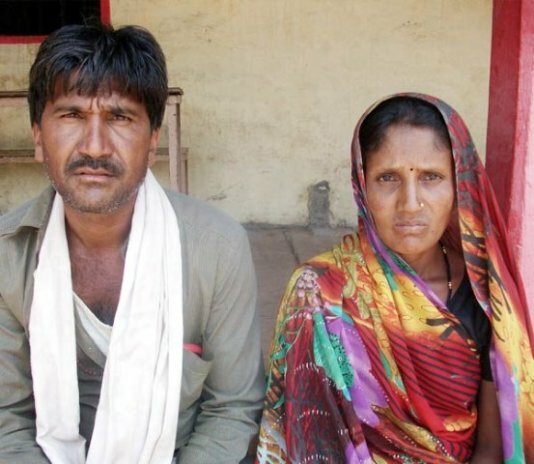 Farmers in the central Indian state of Madhya Pradesh are reeling under unprecedented crop loss. With mounting losses, some farmers have sold their children to shepherds, say investigators. In April this year officials rescued five children in Khargone and Harda districts of the state from the clutches of two shepherds. 12-year-old Sumit and his 11-year-old brother Amit were traded in August 2014 by their father to a shepherd of Rajasthan named Bhura when he had come to Madhya Pradesh along with his herd of animals and some family members.The siblings were to work for the shepherd for a period of one year in return for a sum of Rs 35,000 or about US $ 555. However, they were treated so cruelly and forced to work so hard and for such long hours that they always looked for an opportunity to escape from the clutches of the shepherd and one day in April 2015, about eight months later, they managed to flee. The shepherds usually belong to the desert northern state of Rajasthan. They are nomads and keep moving with their families from one place to the other in search of water and fodder for their animals. The children’s mother Manibai said, “it (trading children) was wrong but we were forced to do this just to stay alive otherwise, like many other farmers, we too would have been forced to commit suicide. With no money and no means of sustenance, we were beside ourselves”. Another boy Mohit, who hails from the same village in Khargone where Amit and Sumit live, was also traded by his parents to shepherd Bhura. The 15-year-old was later rescued by the authorities on the basis of the information provided by the siblings. As authorities further investigated the case, they came to know that some other children had also been traded by their debt-ridden parents. In Harda district, officials rescued two tribal children, 11-year-old Ramesh and 12-year-old Dheeraj, from the clutches of another shepherd Hemla. It is believed that there could be many other similar cases of farmers trading their kids for the sake of money. All the rescued children were later handed over to their families. Investigators said farmers in the state of Madhya Pradesh sold their kids to the shepherds as they were desperate after suffering huge crop losses. With private moneylenders as well as banks mounting pressure on farmers to repay the loan and threatening to auction their lands and belongings if they failed, farmers were in a tight spot. The Rabi crop over nearly 570,000 hectares in the state was devastated. Rabi crops refer to agricultural crops sown in winter and harvested in the spring. Around 40 farmers committed suicide or died due to shock in the Madhya Pradesh alone between February and May 2015. These farmers committed suicide following widespread damage to their Rabi crops due to unseasonal rains and hailstorm. Some farmers have sold their children to shepherds, say investigators. Farmers in the central Indian are reeling under unprecedented crop loss. 12-year-old Sumit and his 11-year-old brother Amit were traded in August 2014 by their father to a shepherd of Rajasthan named Bhura. The father of the two children, Lal Singh (left), is a farmer and lives in Mohanpura village in the state’s Khargone district. He said it was with a heavy heart that he traded his beloved children to shepherd Bhura.